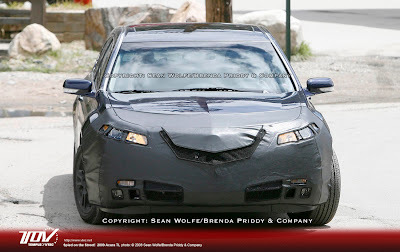 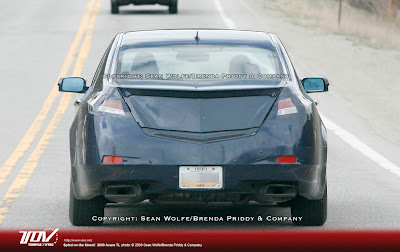 VTEC.net and LeftLaneNews.com has some photos of a camouflaged 2009 Acura TL. 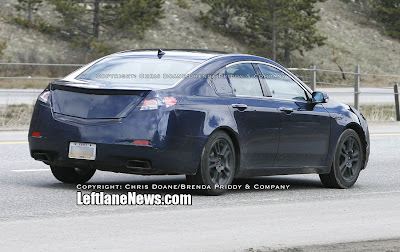 Rumored to be released in two configurations: a base front-wheel drive car and an all-wheel drive model. 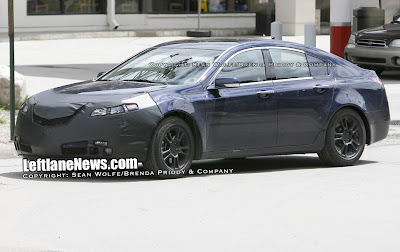 The front-driver will have a 280 horsepower 3.5L V6 whereas the AWD model will get a 3.7L V6 producing 300 horsepower.